﻿ Ramada Khao Lak Resort (Thailand) | FROM $81 - SAVE ON AGODA! 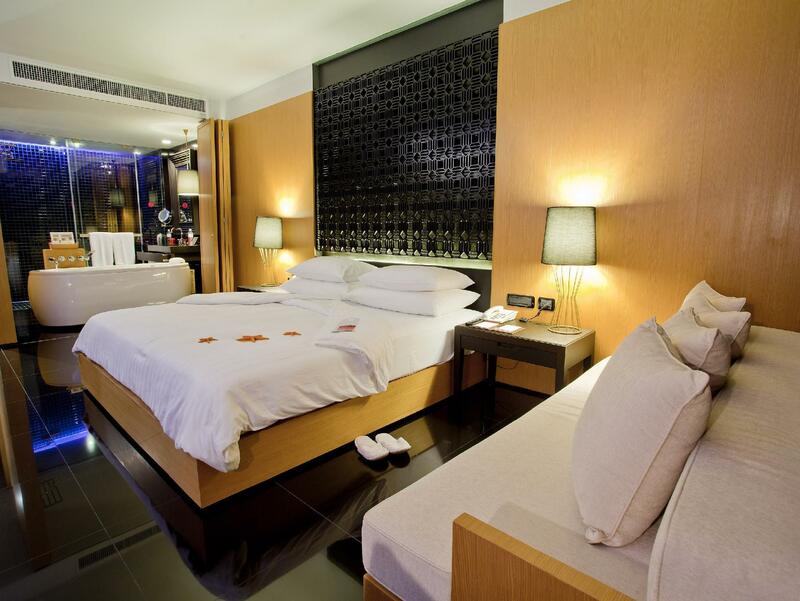 Have a question for Ramada Khao Lak Resort? "The room was lovely with a big bathroom (including bath tub)." "A very nice hotel on the beach, quite small with excellent staff." "Staying at hotel is just like being in a huge family home"
"The hotel itself is very good." Pristine white sand beaches, fantastic outlying islands, lush tropical foliage, comfortable contemporary rooms and villas, sumptuous dining choices, and rejuvenating spa treatments are many of the luxuries you get from Ramada Khao Lak Resort. Situated on the idyllic shores of Khao Lak in Phang-Nga, the property features 116 rooms including eight beach villas and eight pool villas. Only an hour away by car from Phuket International Airport, Khao Lak is renowned for its tranquil surroundings and unspoiled tropical beaches — the perfect ingredients for a holiday in paradise. The staff at the resort is friendly, and everyone goes out of their way to make you feel welcome. 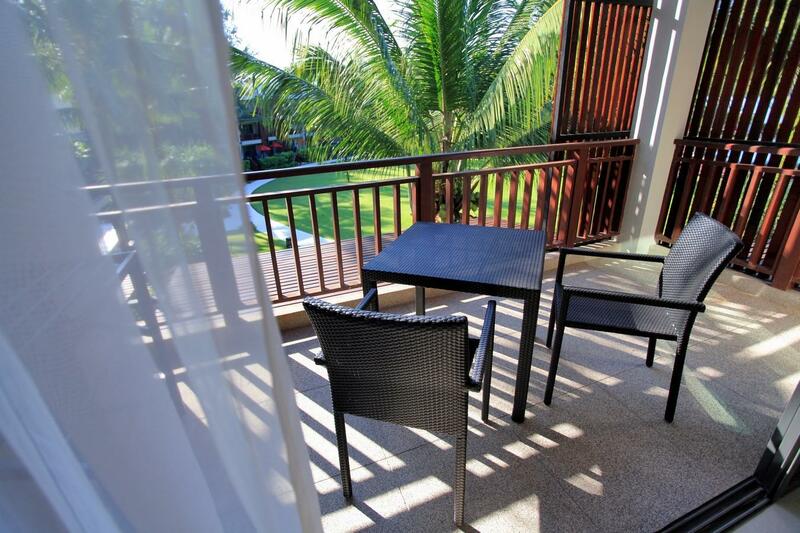 An idyllic location and a wide range of amenities make Ramada Khao Lak Resort a favorable choice among vacationers. "Friendly staff, fantastic pool bar with happy hour." Children 4-11 years old will be charged THB 225 for breakfast when using existing bedding. Stayed in a beachfront room, it was great to be so close to the ocean. The room was spacious and private. Breakfast was excellent with a wide choice and the staff were very helpful. I would definitely recommend this hotel. Nice location which there have a nice swimming pool that near the beach... Nice greetings and friendly staffs... Nice and comfortable room for all of us.. Will come bk again if there have more promotion offers !!! The hotel is in a good location near to some bars and restaurants, but not too much. The wifi internet was not so good while we stayed. we can really connect to any wifi or our mobile also our of signal which very strange. We had an ocean front villa that looked out on to the sea and was all it advertised. The bed and pulled were comfortable. And the room quiet. 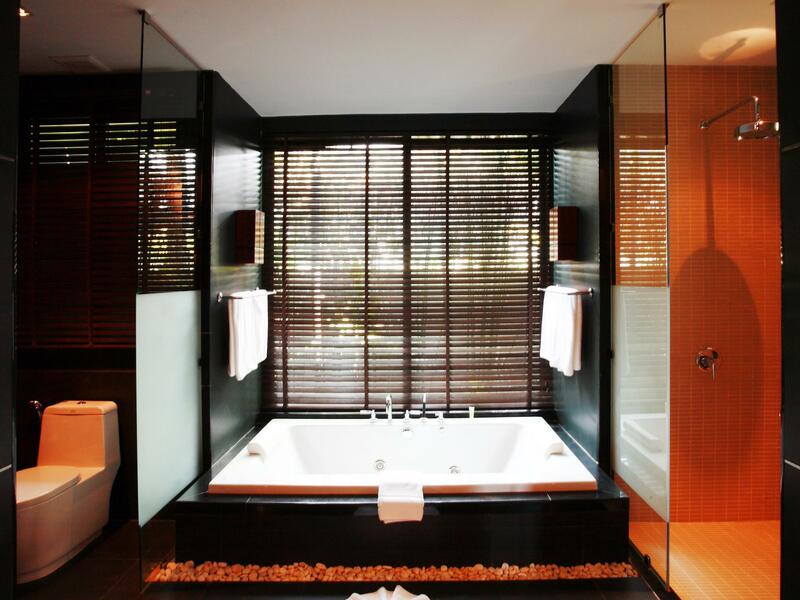 Separate shower and toilet and lather jacuzzi. The only problem was mosquitoes. There were no screens on doors or Windows. The pool was great as was the pool service and comfortable lounges. Food was food. The gardens and grounds immaculate. The spa booked our quickly. All in all a lovely place for a honeymoon or just to get away. We really had a great time at this hotel. The staff was excellent. We had a small problem with our room but the front desk staff's solution went above and beyond what we expected. The hotel is located on a quiet section of beach. There isn't much to do in the area, other than relax... which was exactly what we were looking for. Breakfast was very good as well. Booked a garden deluxe room which had been renovated in recent times. Large, functional and well presented room with king size bed. Perhaps only negative is the large bath tub in the bathroom/toilet. Gardens with nature trees and pool are beautiful and give this resort the edge over neighbouring properties. The beach is very clean and safe for swimming. Buffet breakfast provides a good selection for all tastes. Very friendly staff. 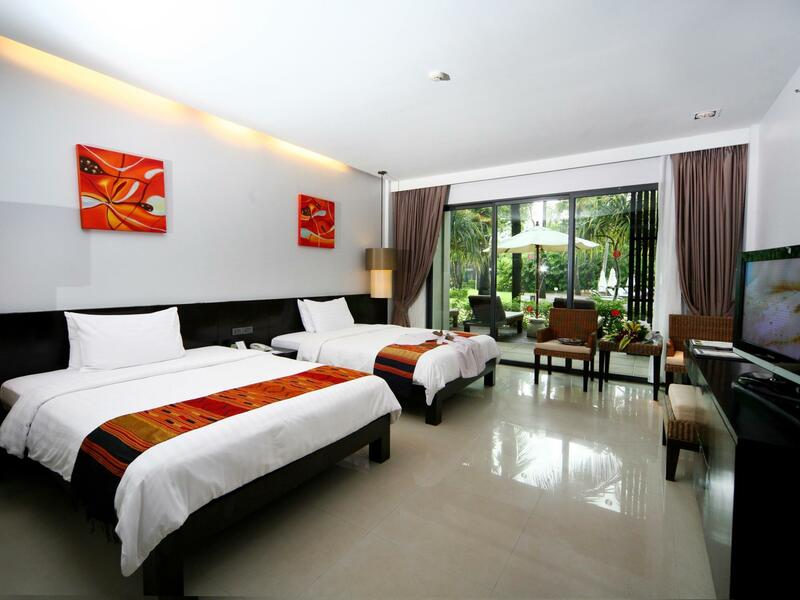 Resort is well located with numerous external shops and restaurants within 10 mins walk. Only real criticism is the lack of ceiling fans/airflow in Sassi's Beach club where dinner is served; very oppressive with the humidity the evening we dined there. Understand further sections of the resort will be renovated during the off season. Would definitely return. A very nice hotel on the beach, quite small with excellent staff. All is very nice, especially the staff. The rooms could use some decoration. Breakfast could be more interesting and include some more Thai cuisine options. The beach needs some regular cleaning as the surf brings a bit of rubbish. We have to move to the new room because the neighbors turn on music too loud. The hotel itself is very good. We're very impressed by your service and hope to visit again if there is a chance in the future. My reservation with Agoda was quite clear that we reserved 2 rooms. Somehow the hotel did not get that part. It was only told to us when they brought us to the twin room. I think it will be helpful to confirm with the guests WHEN THEY CHECK IN. Staff were generally friendly but property is old. It is currently undergoing some renovation which is really necessary. The wooden decks which was made from not very good material from the start already started rotting. I would imagine it would be quite hazardous for people walking on it with bare feet. The hotel really should take care of this. Thank you for your feedback and we regret to learn the stay did not meet your expectations. Please accept our sincerest apologies for the confusion with your room booking. Our front office is instructed to double check all reservation details upon check-in and this procedure will be re-trained to ensure the standard is being kept up. Also we are going through a maintenance plan for the entire hotel area to improve on all other deficiencies. Once again thank you for your feedback and we hope to serve you better given the opportunity in the future. I booked a sea view villa by Agoda, and fully payment in advanced. I get the confirmation. Unfortunately, the hotel give my room to someone else. The manager claims that they made a mistake. He instead ofers an "upgrade" pool villa. 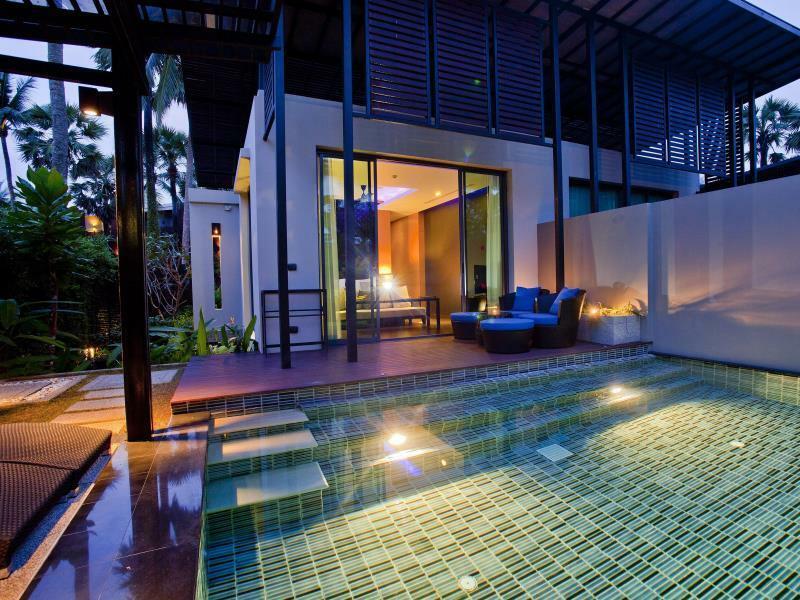 The pool villa is very private with closed boundary small swimming pool. I have been forced to stay in a pool villa while someone else is enjoying my booked sea view villa. That's completely unfair. The breakfast was average, it way below the breakfast in JW marriott or Pullman resorts. The gym is a small room with very limited equipment. The only advantage of the resort is the sea view villas - which I booked and not given. I never be back. I do not recommend Ramada Khao Lak. 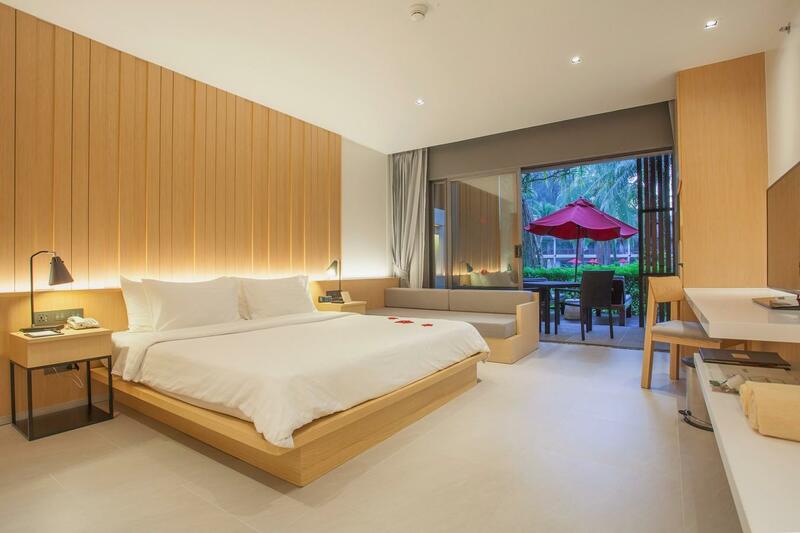 There are much more better resorts in Khao Lak with almost the same price. Thank you very much for your feedback and we are sorry to learn you did not enjoy staying with us. We would like to apologize for the confusion with the room booking and will investigate the issue further to avoid similar happenings in the future. Regarding the breakfast, Ramada is not targeting the luxury market and it is certainly not comparable with such as JW Marriott, which also obviously reflects in the hotel pricing. It is beyond my understanding how one would try to apply same standards and set similar expectations for this 2 brands while paying a significantly lower price for the room rate and food & beverage in general. Our resort is highly appreciated for offering one of the best values in Khao Lak as it has been repeatedly proven over the years and can easily be checked with travel websites. Once again, we regret to have not met your expectations and wish you safe travels. Our 3rd trip to Ramada. One of the only hotels we've ever stayed in multiple times. Value for money is exceptional. First time we had a pool villa, which while not having a sea view but inside a private garden was great (minus the unfortunate weather). Staff as always were fantastic. The staff of Ramada were all very attentive, helpful, cheerful & friendly! View of sunset from the beachfront deck chairs is perfect. Level of cleanliness is very good too. 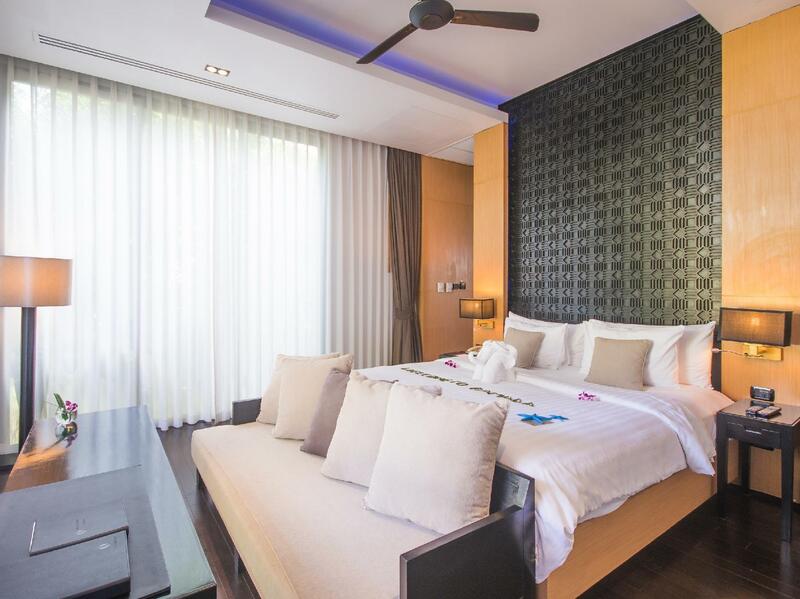 Located close to the Bang Niang Market, about a 10mins walk from the resort. There are lots of food options to choose from in the area. Many shops along the way for massages or booking of snorkeling/diving trips out to the islands. The facilities were fantastic and proximity to everything was fantastic . Staff were awesone. Breakfast yummy. Lots of generous few offers eg massage bikes yoga and tours. It's not a five star though comes close. A little tlc with some of the furniture and it will be there. Had the best time.